Secretary of State for Transport Chris Grayling launched his widely anticipated review into the future of Britain’s railways on September 20, promising to leave “no stone unturned” in its analysis and recommendations. It will be led by former British Airways Chief Executive Keith Williams and is due to report next year. 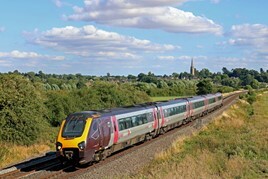 As part of the review, the CrossCountry franchise competition has been suspended with existing operator Arriva continuing to run the franchise for the foreseeable future. Grayling acknowledged failings in the current railway’s structure, saying: “It is clear that the structure we inherited is no longer fit to meet today’s challenges and cope with increasing customer demand.” He added: “We’ve been clear that the railway needs reform to prioritise its passengers, and we have set out plans for closer partnerships between operators of track and train, including on the LNER and South Eastern networks. The review – terms of reference for which will be decided after Parliament returns on October 9 – will focus on: “leveraging the commercial model to ensure improved services for passengers and taxpayers and more effectively balance public and private sector involvement,”; the roles and structures of all parts of the industry looking at how they can work together to reduce fragmentation, improve passenger services and increase accountability; and how the railway can support a fares system that delivers better value for money for passengers and taxpayers. It will make recommendations on improving the existing franchising model in terms of reliability, providing better services, better value for money for passengers, commercial sustainability and innovation. It will also consider regional partnerships. Keith Williams will be supported by an external panel which includes Roger Marsh, who chairs the body representing 11 Local Enterprise Partnerships in the North of England. The government will publish a White Paper on the review’s recommendations with the implementation of reforms planned to start from 2020. For the FULL story, read RAIL 862, published on September 26, and available digitally on Android, iPad and Kindle from September 22.